Black River Memorial Hospital- Harvest of the Month is Avocado. Watch WEAU-TV-13 (NBC) at 4:00pm as Registered Dietitian Nutritionist, Ruth Chipps, presents how to make Chocolate Peanut Avocado Truffles. Lunda Community Center: Living Fiercely with Cancer. Explore topics such as: Caretaker Care, Nutrition and Fitness with Cancer, Self-Appreciation, and more. Facilitators/ Survivors of this course are Kathleen Clemons and Kaye Henrickson. This will be held the third Thursday of the month from 5:30-7:00pm in the Hub. 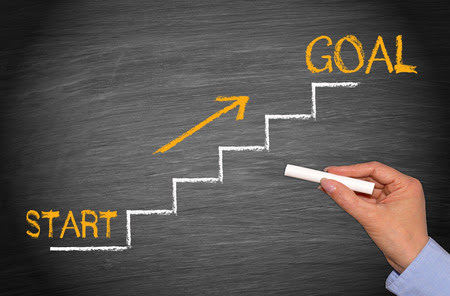 The Western Dairyland Business Center and the Women’s Business Center invite entrepreneurs and aspiring business owners to “Start a Small Business in 8 Steps” on Thursday, April 18th. The class will run from 6-9 pm at the Western Dairyland offices at 418 Wisconsin Street in Eau Claire. Tuition is $29. Class materials are included. Scholarships are available for income-eligible individuals. After the class, attendees may request free, one-on-one assistance from Western Dairyland’s Business Development Specialists delving deeper into the individual small business needs, including preparing a business plan with financial forecasting to present to lenders. Jackson County Bank will have pictures with the Easter Bunny from 9am-Noon in the main office lobby. Each family will receive one free 4×6 color print. Open to the public! 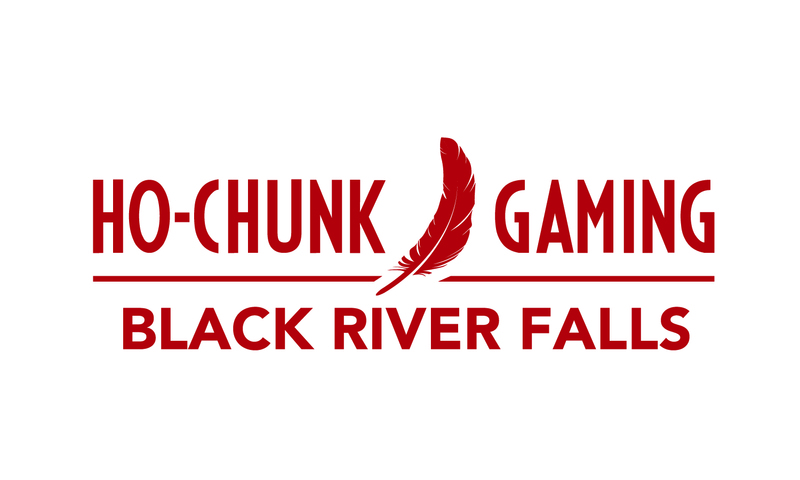 Ho-Chunk Gaming BRF-Magician Matthew Teague will be on the Casino Floor from 4-7pm! Jackson in Action and Friends of the Black River will host an Earth Day Cleanup. Meet at 8am. Location will be announced at a closer date. 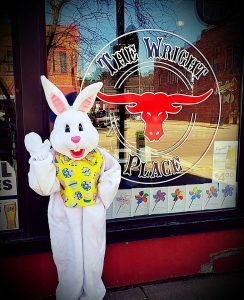 The Easter Bunny will be at the Wright Place Saloon from 8am-11am. Come see him! 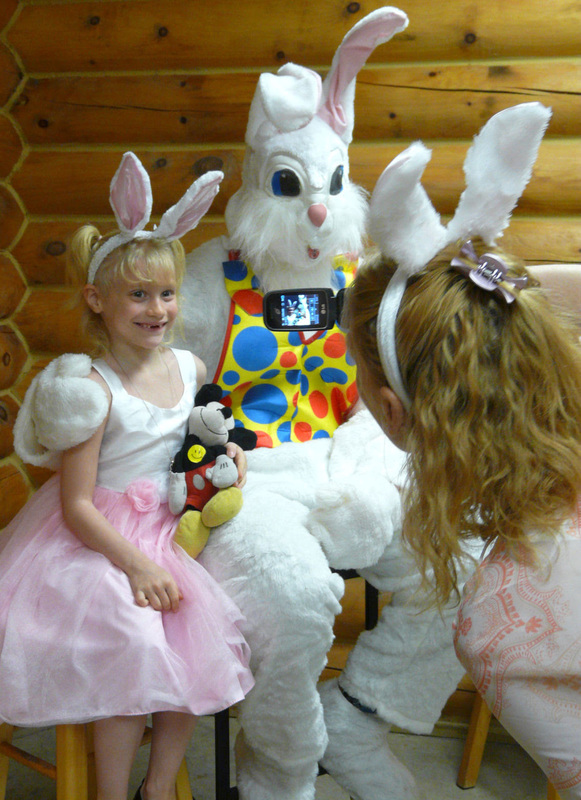 Black River Memorial Hospital’s Brunch with the Easter Bunny will be from 8:30-11:00am at the Black River Falls Middle School Commons and Gymnasium. The Easter Egg hunt will begin at 11:15am on the High School Track and Field. Enjoy a brunch of sausage and pancake on a stick or French toast stick, fresh fruit, mini muffins, and milk & coffee. Admission cost is $6.00, children 2 and under are free. The 11th Annual Warrens Community Easter Breakfast is Saturday, April 20, from 8 to 10 a.m., at the Warrens Lions Log Building. The free pancake-and-sausage breakfast is open to all ages. Atrium Post Acute Care & Senior Living will be from 1-3pm. An Easter Egg hunt will start at 1:30pm. Kid games, face painting, crafts, music, Easter basket giveaways, and snacks & beverages will also be available. Revolution BRF: Joanna Johnson-Scottish Fiddler. Raised in the traditional eighteenth century style of Scottish Fiddling, Joanna Johnson is coming to light as a fiddler and composer with individuality steeped in her family heritage. Come watch her preform at Revolution from 7-10pm. Skyline Golf Course will have an Easter Brunch Buffet from 10am-2pm. Black Creek Lodge will be having an Easter Buffet! 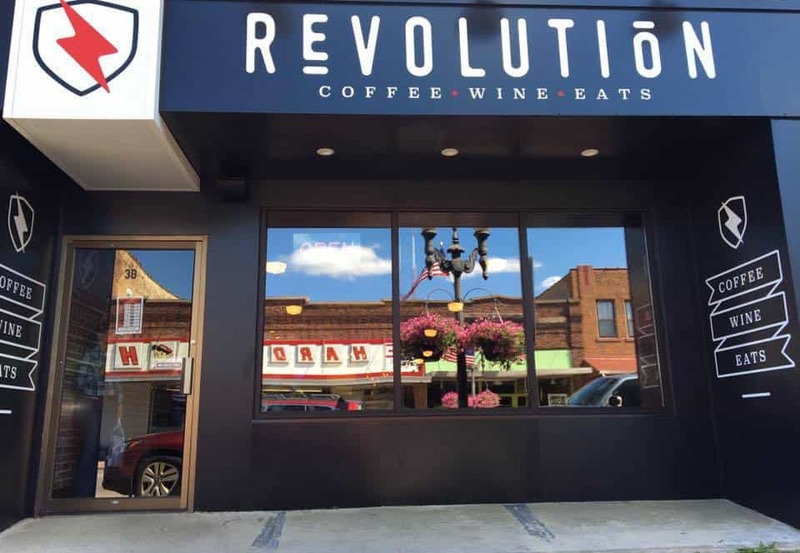 Call for Reservations at 715-334-2102. Serving from 11am-3pm. Marco’s Italian & American Grill have an Easter Buffet from Noon-6PM. Reservations are recommended! Adults are $16.95 and Kids under 12 are $9.95. Located at the former Bog – 3514 Blamey Road, Warrens. 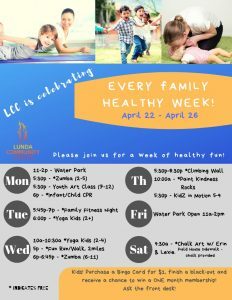 Lunda Community Center ~ Every Kid Health Week! All week long there will be healthy activities for the youth and families! 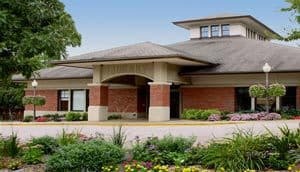 Black River Memorial Hospital (BRMH) will host the Stepping On program. Participants learn why they fall and how to prevent falls. This program includes strength and balance exercises, home safety tips and a medication review. Holly Freeman, BRMH Occupational Therapist, shares about the program. “Participants will see fall prevention products. They will leave with more strength, better balance, and confidence in independent living.” This class is ideal for people who walk and are living on their own. Research shows, this program can reduce the chance of falling by thirty-one percent. Stepping On will be held on Tuesdays, March 26 – May 7, 2019, from 9:30 am – 11:30 am at the Lunda Community Center. 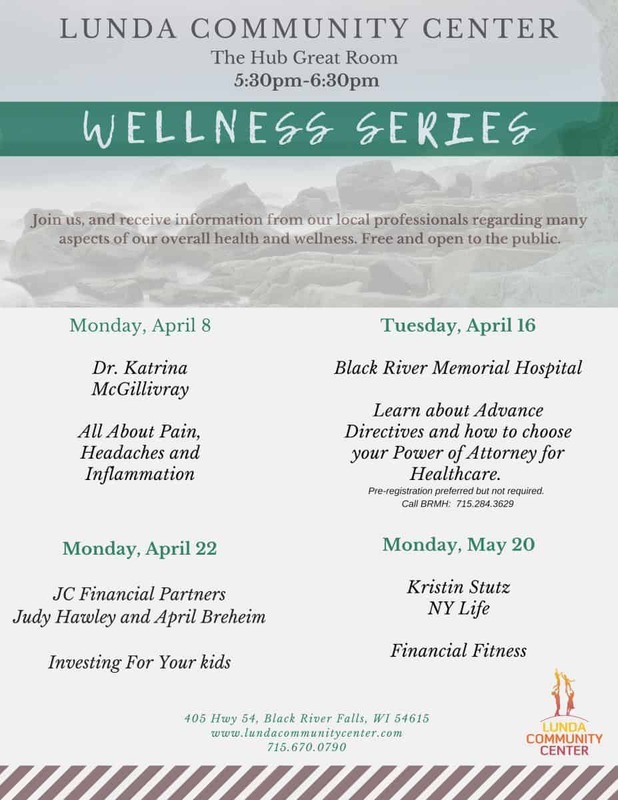 For more information and to register for the program, call 715-284-1330. Black River Falls Public Library: Jackson County Bird Club Meeting at 2pm. Lunda Community Center will have an Intro to the Fitness Center overview from 3:45pm-5:00pm. Free for members or $6 for non-members. 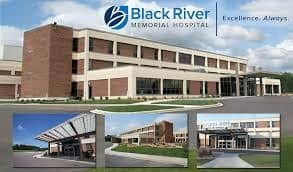 Black River Memorial Hospital will have recipe tasting of the April Harvest of the Month-Avocado, from 11:30am-12:30pm in the BRMH Cafeteria. Black River Falls Blood Drive will be held at Comfort Inn & Suites, W10170 Hwy 54 East, from 12pm-5:30pm. For an appointment, call 1-800-733-2767. Hatfield Fire & Rescue Chicken Q. First come first serve at The Mug in Hatfield from 5pm until gone. 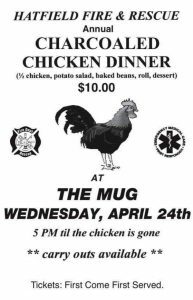 $10 for a ½ chicken, potato salad, baked beans, dinner roll and dessert. Skyline Women’s Golf League Kick-Off Meeting will be held at the Clubhouse at 6:00pm. Cost is $30 per person/wo person teams. Contact Sue Leadholm with any questions at susan.leadholm@brf.org or call 715-284-7173.